With great improvements in dental materials and techniques we are increasingly able to offer a wide choice of affordable options. 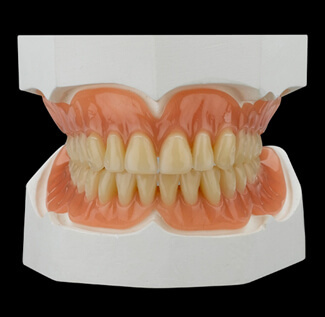 In the case of dentures we take a great deal of care in providing the best value for money and to personalising them to the needs of each individual patient. You can expect the dentures to take 4-6 weeks to be finalised. This is because we need to build up the dentures gradually starting with the first impression through to the final stages. We will need to see you on a weekly basis to complete this. The teeth that are put on the denture can be chosen from a wide variety of shades, shapes and strengths. You may have the teeth spaced or crossed if you wish thus charactering your teeth to mimic your natural ones.